Blade measures about 29 inches (measured from tip to tsuba). Overall length including saya about 45 inches. The Ito is Black cotton over Black Rayskin. Tsuka is 14 inch, double pinned with bamboo mekugi, cotton Ito wrapped with hishigami paper. 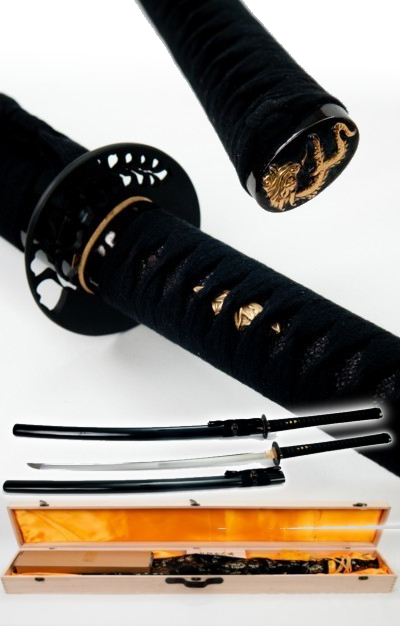 Saya is about 30.5 inches , wood with high gloss Black lacquer finish. 3 pc bullhorn, cotton Sageo. Comes with sword bag,wooden box.